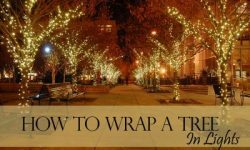 Wrapping outdoor trees in lights can elevate your outdoor party, wedding, or Christmas display from great to spectacular. 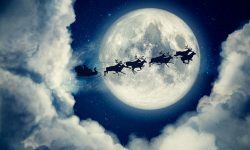 It's a wonderful way to make sightseeing Christmas Enthusiasts say "ooh" and "ahh" as they slowly pass by your home. But for all the 'oomph' that wrapping trees will add to your display, it's really not a difficult task. Just follow a few basic tips and recommendations, and you'll find that the job of wrapping your trees will progress smoothly and quickly. The first step, of course, is to choose the lights you'll be using. 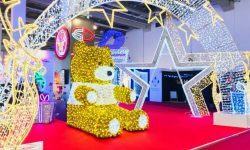 There really are no hard and fast rules for selecting lights for this purpose. 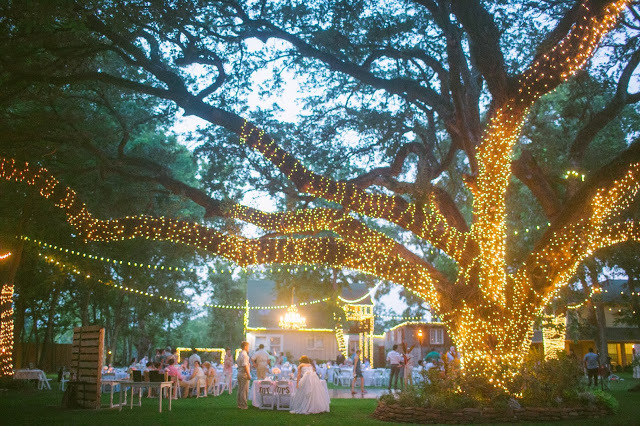 Trees can be wrapped in just about any kind of decorative light. Generally, though, smaller bulbs are considered more suitable for this purpose. Smaller bulbs tend to highlight and accent the natural symmetry of the tree without overwhelming. And it's also worth considering that smaller bulbs are much easier to install. 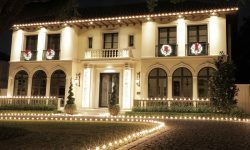 The process of wrapping lines of lights around trunks and branches can be made significantly more difficult if you have to deal with the bulkiness of larger bulbs. 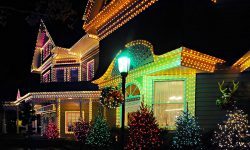 Perhaps the most popular choice is to use mini-lights - preferably LED mini-lights. 5 mm Wide Angle Conicals, specifically, are a great choice for wrapping trees. And it's the bulb of choice for the vast majority of professional lighting installers. Also, give some thought to the wire color of the light sets you purchase. Many of our bulbs are offered with the option of different wire colors such as white, green, and brown. You'll probably want to choose a wire color that will help the lights to blend with the natural look of the tree during daylight. 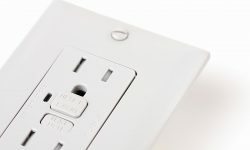 You'll want to do some simple measuring and calculating to be sure that you have the lights on hand that you'll need. It's awfully frustrating to run out of lights on a partially completed tree! Start by measuring the distance around the trunk, the circumference. Now measure the height of the trunk. Also, decide how far apart you want to space each wrap of lights around the trunk (2-3 inches apart is a popular spacing). For illustrative purposes, let's say that the trunk is 5 feet in length, with a 3-foot circumference. And we're going to use 3-inch spacing between wraps. So we need 60 feet of lighting to wrap the trunk. Now you can select the branches you want to wrap, and make the same calculations for the length you want to wrap for each branch. Add it all together and you'll have the total amount of lighting you'll need to wrap the tree. And don't forget about extension cords. Make sure you'll have what you need on hand. In most cases running one cord to each tree will suffice, though you may need multiple plug-ins to the cord. For very large trees with lots of lights, two extension cords may be needed. Now we're ready to begin wrapping. Start by rolling your string of lights gently into a ball. Begin rolling the ball with the female plug end, so that the male plug will be on the outside of the ball. Wrapping the light string into a ball makes it much easier to handle throughout the process. You can hold the ball in one hand while guiding the wrapping with your other hand. It can also be helpful to measure out the spacing you want to use. If you're going to be using 3-inch spacing between wraps, for example, use a tape measure and a piece of chalk or a marker to place some small reference points along the length to be wrapped. Now start at the base of the trunk, with the male plug at ground level, and begin wrapping. Use your reference marks to maintain symmetry in spacing. Wrap fairly tightly, making each wrap a snug fit. 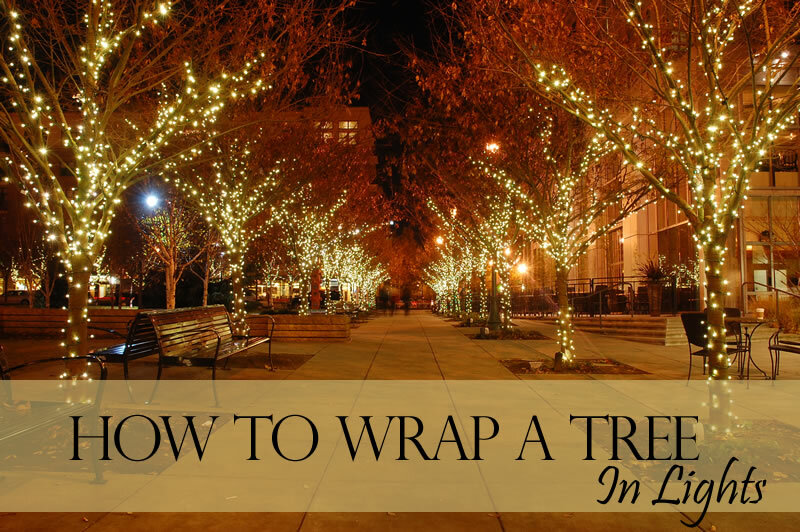 Use the same process to wrap branches. Once you've wrapped a few times around, friction will help to hold the wire in place. But you can also use zip ties and these handy tree clips to help hold the wires in place. The clips can be particularly useful for holding the wires in position long-term, since the swaying and bending caused by wind can work to dislodge wraps from their original positioning. For an alternative criss-cross look, try wrapping both up and down the trunk or branch. On the first pass as you work your way up the trunk or branch, use double your desired spacing, placing a wrap at every other mark. Then when you reach the top, start back down, placing wraps at the marks that were skipped on the first pass. 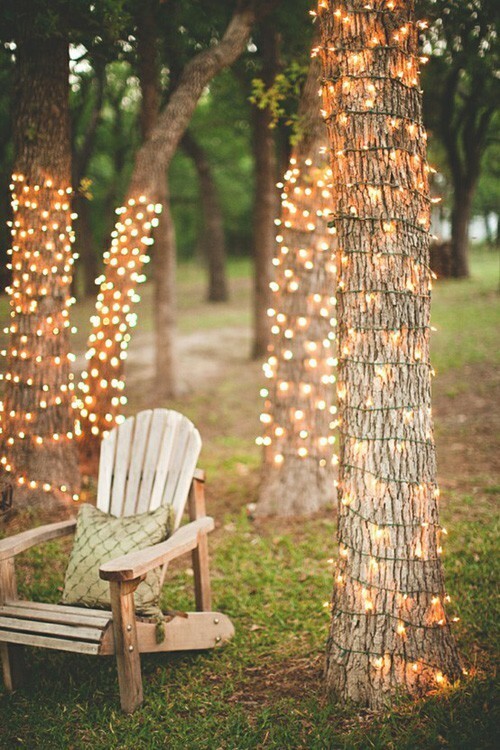 Wrapping some of your trees with lights can make a dramatic impact upon your summer patio or Christmas display. Your family will enjoy the spectacular look, and so will sightseers. And we predict that you will even enjoy the process of installing lights on your trees. The process is just a little bit challenging and lots of fun!